For those of you vintage lovers out there, you know that sometimes that fabric just gives out. There is nothing worse that a rip in the fabric on a unique, one-of-a-kind piece! 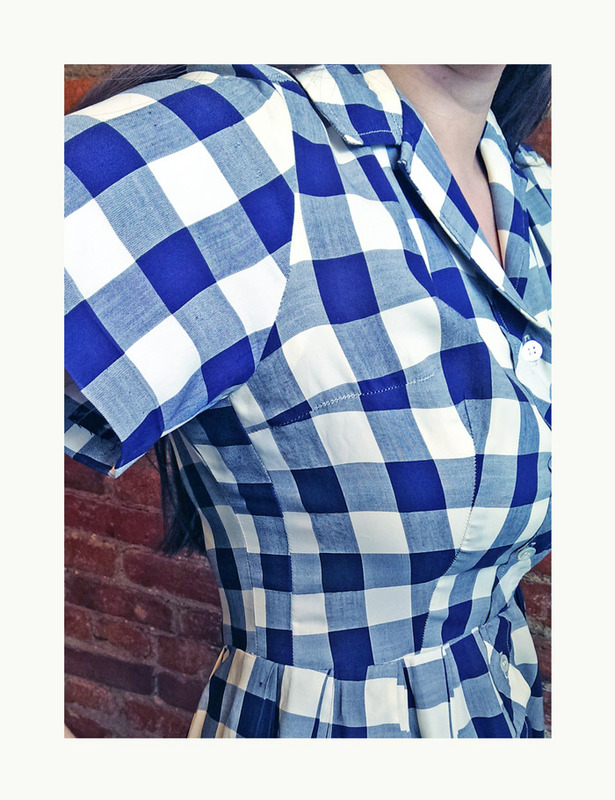 Mallorie’s beautiful vintage dress had holes in the the sides and armpits, as well as a slice on the sleeve. However she was determined to bring it back to life, which is where I enter the picture. 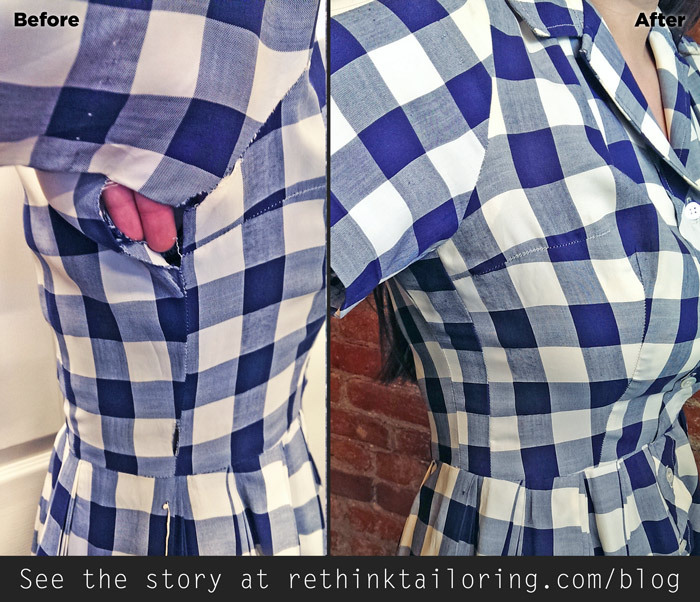 Creative repair and garment rescue is a definite love for me. On this piece in particular, I knew I needed to get Mallorie a little more wiggle room so the dress wouldn’t rip instantly again. We hemmed the bottom, which gave me fabric to add stripes to the sides to let out the bodice, in addition to letting out the pleats on the back. I fixed the sleeve by hemming the shorter through the sleeve cap. Another dress rescued! See the full detail and more photos here.